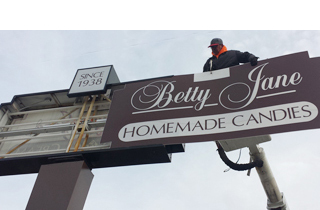 Big River Sign Co | Our Design Makes the Difference! 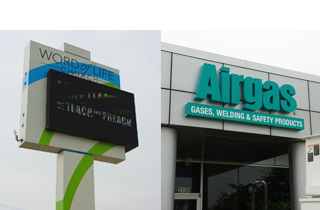 Big River Sign Company provides complete fabrication and/or installation of all types of illuminated and non-illuminated signs for our products and those manufactured by national companies. 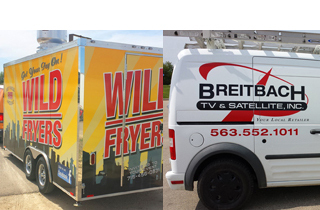 Effective design, brand recognition, and quality installation are to be expected on your Wraps & Vehicle/Fleet Graphics when working with Big River Sign Co. Whether you have a Car, Truck, Van, Trailer, Boat, Semi, ATM, or just about anything we’d love to wrap, stripe or decal it. We pride ourselves on outstanding craftsmanship, quality service, competitive pricing, and quick delivery.